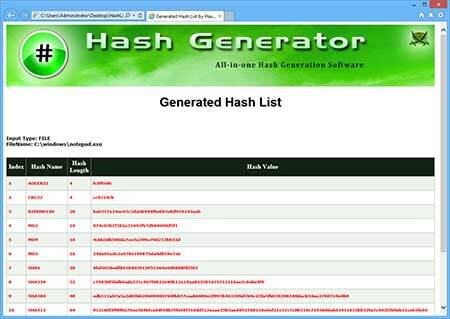 Hash Generator is the FREE universal hash generator tool which automates the generation of 14 different type of hashes or checksums. It support most of the popular hashes including MD5 family, SHA family, BASE64, LM, NTLM, CRC32, ROT13, RIPEMD, ALDER32, HAVAL, WHIRLPOOL etc. It can even generate hash for the file as well as text input also. User can directly enter or paste any text from clipboard and generate hash. It also supports 'Drag & Drop interface' which allows you to quickly drag files onto the tool for hash generation. 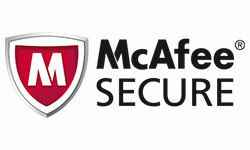 Hashes or checksums are mainly used for file integrity verification. Often files downloaded from Internet are checked with MD5/SHA256 hash to make sure file is not tempered. Hashes are also used in encryption and storage of password as well as other sensitive data to protect it from the spying eyes. 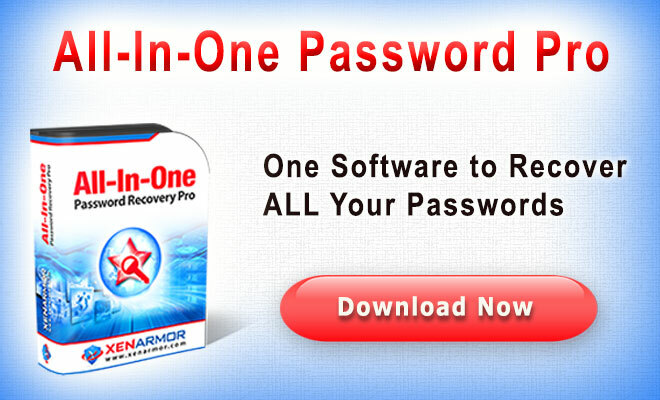 HashGenerator helps in quickly computing or verifying the hash for any such file or password text. Also check out Hash Console - Command-line version of Hash Generator. 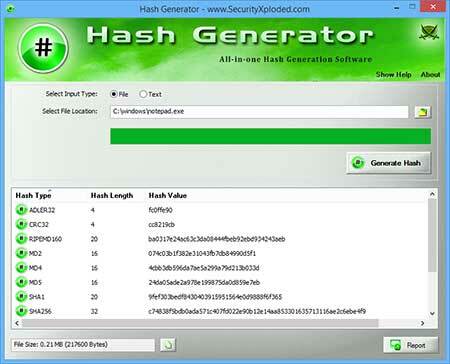 Hash Generator works on both 32-bit & 64-bit platforms starting from Windows XP to Windows 10. Generate hashes for 15+ popular algorithms including MD5, SHA1, SHA256, BASE64, LM, NTLM etc. Create Hash for either the File or custom Text. 'Drag & Drop' feature to quickly drag files onto the tool. 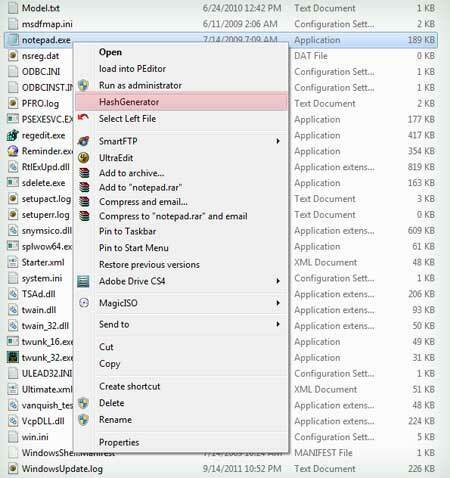 Shell Context Menu to quickly generate hash by simply right clicking on any file. Option to to selectively copy the hash from the displayed list. Simple, Easy to Use GUI Interface. HashGenerator is GUI application which comes with simple interface and makes it easy to use even for beginners. Launch HashGenerator application on your system. Next Cilck on 'Generate Hash' button. You will see all hashes being generated one by one and displayed in the list. Now it automatically copy the MD5 hash to clipboard. Also you can right click on the List to selectively copy any hash. Finally you can export entire hash list to HTML/XML/Text/CSV file by clicking on 'Export' button and then select the type of file from the drop down box of 'Save File Dialog'.. Here instead of selecting file you can also directly enter or paste any text (up to 250 characters) and generate the hash for it. Now with version v1.5 onwards you can simply right click on any file and launch HashGenerator from "shell context menu". For this to be active, you need to run HashGenerator at least once on your system that will install the context menu option. Screenshot 1:HashGenerator is showing all the popular hashes generated for the input file. Screenshot 2: "Shell Context Menu" option to launch HashGenerator directly by right clicking on any file. Major 2019 release with support for CSV file report. 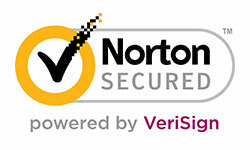 Also removed false positive issues with antivirus. 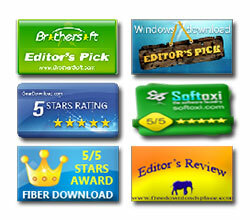 Major update with new Installer supporting seamless installation & un-installation. This also fixes bug in previous installer. Mega 2016 release with support for new Windows 10. Also improved Installer/Un-installer and fixed right-click context menu. Mega version with renovated GUI edition featuring Copy file size option, Upto 1000 char text hash generation, glowing icon effects etc. Also integrated Uninstaller into Windows Add/Remove Programs. Automatically copy MD5 hash to clipboard. Displays File Size. Fixed broken link in report. Now it can generate LM & NTLM hash for input text. Improved user interface with cool banner. Support for report generation in XML format along with HTML/Text format. Displays hash length. Few minor bug fixes. Added right click context menu option. Now you can simply right click on any file and generate hash for it.